Here comes SMOK MAG 225W Red Black Vape Kit the most ergonomically designed handheld mod made to date! Fast and furious, lock and load, it is 225W Mag Mod! You can pull the trigger to vape. Mag has a large HD colour screen that displays specific data. This awesome machine will rock the socks out of any vape machine, so buy now and experience the change..
By buying this product you can collect up to 169 loyalty points. Your cart will total 169 loyalty points that can be converted into a voucher of $3.38. Wild cobra drip tip: TFV12 Prince tank use cobra drip tip, which has wide outlook and special tactility. Besides, it will bring you increased airflow. Convex glass tube: Different from traditional tanks, TFV12 Prince adopts convex glass tube--Bulb Pyrex Glass Tube #2, which can effectively enlarge the e-juice capacity . TFV12 Prince has 8ml capacity, which is largest capacity ever! 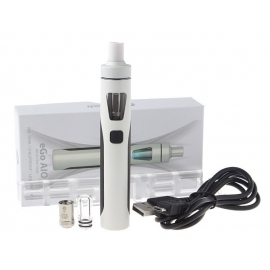 There is no need to add the e-juice frequently, you can enjoy vaping with easy and verse. High quality material: TFV12 Prince tankis made of stainless steel material, which is glossy, durable and no harm to human body. E-juice tube uses food-grade glass, which can ensure non-toxic and high temperature resistance. Patented locking mechanism: The new design top cap has a patented locking mechanism, simply press this button then you can open the cap. Besides, this design can effectively avoid accidently opening of top cap and leaking of e-juice. Hyper engines: It adopts new powerful cores, TFV12 Prince Q4, X6, T10, all cores have 12 holes on their bodies, which can make the e-juice quickly saturate the inside cotton and at the same time dissipate heat. Massive vapor, smooth airflow, rich flavors are just born with this tank. Top refill system: Top rotary refill makes filling a easy thing. Leak proof slot can significantly solve leaking problem. Lock and load: Mag uses flower-shaped button for battery installation, lock and load , you can even hear the pleasant sound that a real gun can offer you. Gun of rambo: Mag kit shaped like a gun-handle, every angle tells how exquisite it is. Hold it you can feel like it is a real gun. Exquisite fire key: Different from traditional big fire buttons, Mag adopts exquisite small fire key, like the trigger of a gun, you can press the triggering button easily. Ergonomic design: The whole mode is ergonomically designed, you can hold it in a confortable way. For this mod shaped like a gun-handle, you can feel a strong sense of conquering. 225W output: The max output power of Mag is 225W, and there are three modes for you to choose from. Temp Mode can enhance consistency and taste of every puff. Watt Mode is perfect for cloud chasing. Memory Mode can be your intelligent partner. HD user interface: Mag adopts high-definition OLED screen. It can show you specific vape data in a clear way, such as VW/TC MODE, vaping effect, voltage, battery life, resistance value etc. 3 modes available: There are 3 modes for you: VW mode, TC mode (Ti, Ni, SS) and MEMORY mode. Dual battery life indicator: Mag Kit is powered by two 18650 batteries in series. The dual battery life indicator on the OLED screen can show you the accurate conditions of these batteries. Supports upgrading and charging: Mag supports firmware upgrading, you can use the included USB port to upgrade it. 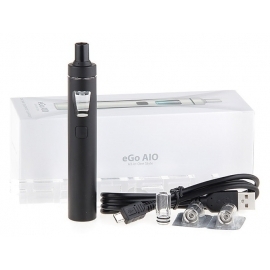 There is no need to change battery frequently, the mod can be recharged via the Micro-USB port.